Laguna Beach Live! recently announced the addition of acclaimed jazz vocalists to the lineup for the 2019 Jazz Wednesday Winter Series. Melissa Morgan will appear on Feb. 13 with world-renowned saxophonist Rickey Woodard Quartet. Also accompanying Morgan and Woodard are John Beasley on piano, Roy McCurdy on drums, and Mike Gurrola on bass. Adryon De Leon Photos courtesy of Laguna Beach Live! Then on Feb. 27, vocalist Adryon De Leon will be accompanying acclaimed guitarist Will Brahm and the World Music Allstars. Jazz Wednesdays Winter 2019 takes place at [seven-degrees], located at 891 Laguna Canyon Road. Concerts are 6-8 p.m., and doors open at 5 p.m. Full bar and buffet dinner menus are available for purchase starting at 5 p.m. Tickets are $25 in advance, $30 at the door. Seating is assigned. Reservations are accepted until noon on the day of the concert or until sold out. For more information, visit www.lagunabeachlive.org or call 949-715-9713. A Musical Carnival will be featured at each concert, encouraging children to test drive instruments, interact with members of Pacific Symphony and Pacific Youth Symphony Ensembles, and participate in themed crafts. Activities start at 9 a.m. for 10 a.m. concertgoers, and 12:15 p.m. for 11:30 a.m. concertgoers. Tickets for “Lunar New Year for Kids” start at $15. For more information or to purchase tickets, call 714-755-5799 or visit www.PacificSymphony.org. This concert is part of the 2018-19 “Family Musical Mornings” series that consists of five 45-minute concerts designed for children aged 5-11, sponsored by Farmers & Merchants Bank. No Square Theatre, located at 384 Legion Street, will present “My Ridiculous Valentine,” a not-so romantic concert of dysfunctional love and laughter at 7:30 p.m. on Friday and Saturday, Feb. 8 and 9. Bree Burgess Rosen directs the show with music direction by Roxanna Ward. Audience members may recognize many cast members from their appearances in Lagunatics and other No Square productions. Fan favorites include Eric T. Anderson, Bree Burgess Rosen, Rebecca Butkivich, Kelly Goldstein, Gary Greene, Rob Harryman, Pat Kollenda, Joe Lauderdale, Marc Marger, Kristen Matson, Claire Day McClung, Steve McIntosh, Roxanna Ward and Ella Wyad. Tickets are $25 and available at nosquare.tix.com. For additonal information on events, auditions, classes, and to purchase tickets, visit nosquare.org. Live! 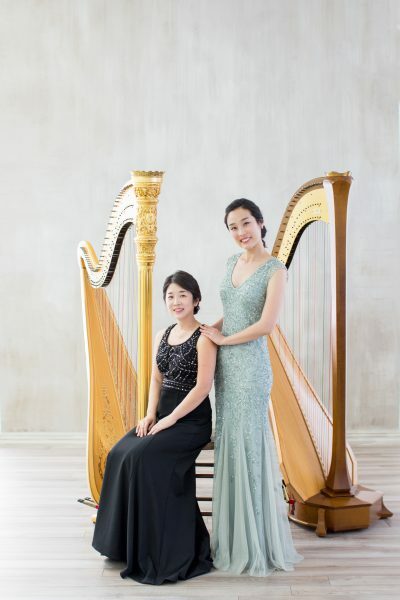 at the Museum presents Duo Gliss on Thursday, Feb. 14, at 7 p.m.
Duo Gliss was founded by two professional harpists, Hee Jin Yoon and Ko Ni Choi. Having performed with numerous groups including the Cincinnati Ballet Orchestra and Toronto Symphony Orchestra, Duo Gliss also focuses on expanding harp music and educating young musicians. In fall 2016, they founded Los Angeles Youth Harp Ensemble (LYHE) where they coach and train young talented harpists in the Greater Los Angeles area. As a professional harp duo, Duo Gliss is working closely with composers of many genres to record, publish, and transcribe new pieces for the harp. The Arts Commission is accepting designs for the annual summer Banner Competition. The competition is open to Orange County residents ages 18 or older. This program is funded by the lodging establishments and city of Laguna Beach. For full competition guidelines, visit lagunabeachcity.net/cityhall/art/opportunities/default.htm.